When you hear “cholesterol-lowering diet”, what comes to mind? Most people think the best diet to lower cholesterol is one that limits high-cholesterol foods like meat and eggs. While it’s true that these foods may increase cholesterol in some people (more on that later), the biggest offender to cholesterol and heart disease risk is often overlooked. Sugar and cholesterol have a strong relationship! 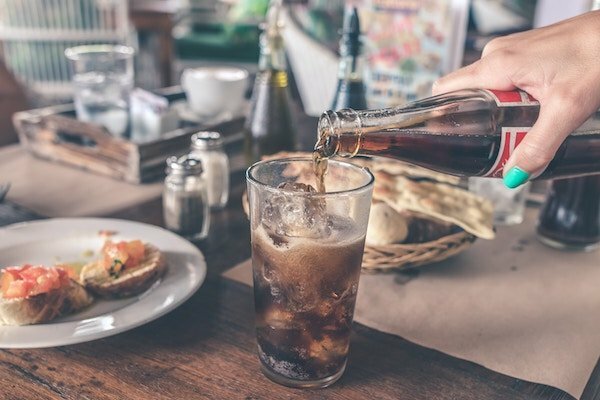 This article will explain the connection of sugar to high-cholesterol levels, how to reduce added sugar in the diet, and what foods actually help lower cholesterol and heart disease risk. Cholesterol is a type of fat that has many important functions in the body. The body makes a lot of cholesterol on its own. We require an optimal balance of cholesterol, but, we can disrupt this balance with a poor diet, inactivity, stress, and more. When your doctor draws a cholesterol blood panel, they are usually looking at four things: triglycerides (TG), LDL, HDL, and total cholesterol. Eggs are one of the richest sources of cholesterol, containing 200 mg of cholesterol per egg. If we eat high-cholesterol foods, then our cholesterol levels will increase too, right? Not quite! Dietary cholesterol has very little impact on our blood cholesterol levels. Our bodies make, on average, 850 mg of cholesterol per day by themselves. When we eat foods high in cholesterol, the body compensates by reducing cholesterol production and/or absorption. This happens in about 2/3 of the population (1). The other 1/3 of the population are considered to be “hyper-responders” and may experience a mild increase in LDL levels when eating high-cholesterol foods, like eggs. But, here’s the catch. The increase in LDL is mostly from the large “fluffy” LDL particles (2). We have varying sizes of LDL cholesterol particles. The bigger, the better. 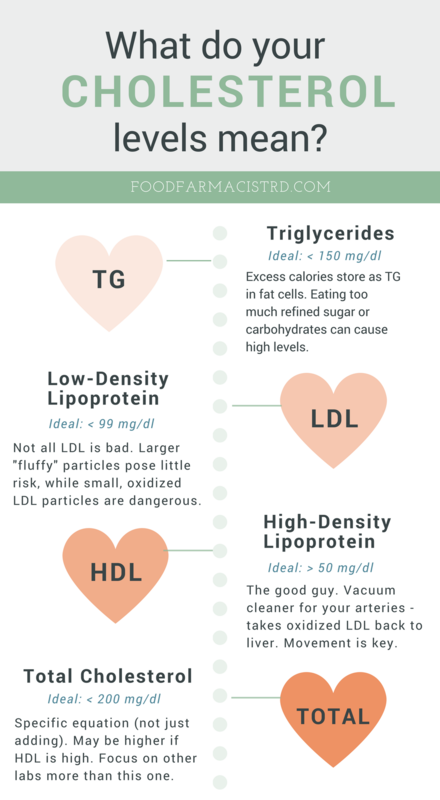 Large LDL particles have very little impact on heart disease, while small, dense LDL particles have a strong association with heart disease. Imagine the small LDL particles like BB pellets that are bouncing through your arteries causing damage and inflammation. High levels of small, LDL particles lead to plaque build up. There is little evidence that eggs will increase your cholesterol levels. If you’re part of the 1/3 of the population that is a “hyper-responder”, you may see a small increase in LDL cholesterol when eating eggs. But, the increase is mostly the large fluffy LDL particles, which do not cause problems. Likewise, your HDL (good) cholesterol will mildly increase as well. Eggs are a low-calorie, nutrient-rich food that can be included in a healthy, balanced diet! 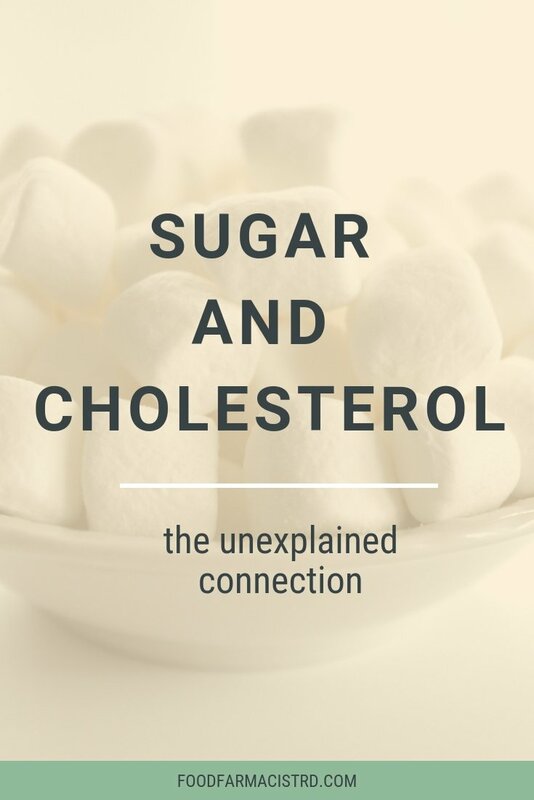 Sugar and Cholesterol: What’s the Connection? If eggs and other high-cholesterol foods don’t raise our cholesterol, then what does? Added sugar is one of the main culprits. Simply put, added sugar is any sugar that is not naturally found in the food itself. Foods high in added sugar include candy, baked goods, soda, cake, cookies, juice, granola bars, and more. Diets high in added sugar can significantly raise triglycerides, LDL, and total cholesterol levels (3, 4). Added and refined sugars can also increase inflammation and your overall risk of heart disease (5). How Does Sugar Raise Cholesterol? Researchers suspect that eating too much added sugar increases the liver’s production of fat which then increases triglyceride and LDL cholesterol production (3). This negative effect on the liver is magnified when eating foods high in fructose (like soda and foods with high-fructose corn syrup). Reducing added sugar in the diet can lower cholesterol levels regardless of weight change. This means that you can still see positive benefits in your cholesterol numbers even if you don’t lose weight! Will Eating Carbohydrates Raise My Cholesterol? 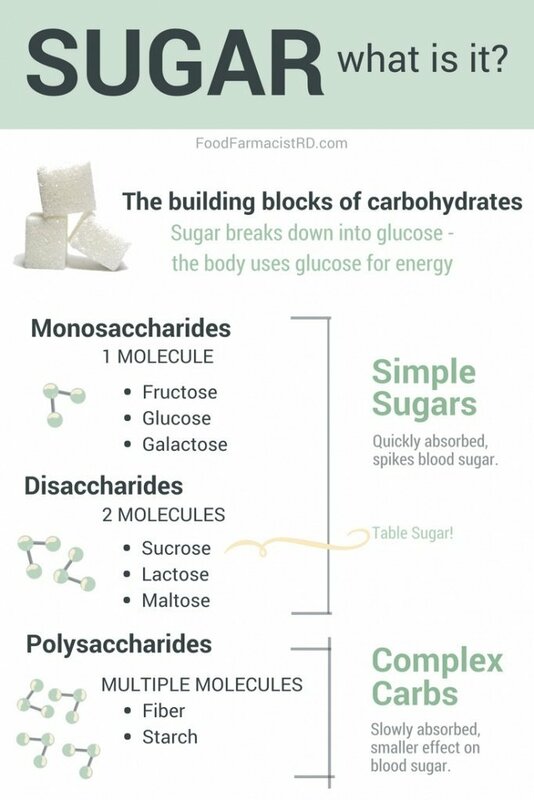 Sugar molecules are the building blocks of carbohydrates. So, does that mean that you should avoid all carbohydrates to lower your cholesterol? There are two types of carbohydrates: simple and complex. Simple carbohydrates are quickly absorbed and cause a sharp rise in blood sugar. Foods high in simple sugars usually contain ADDED sugar as well, like candy, soda, and baked goods. Other simple carbs may include white bread, fruit juice, and breakfast cereals. On the other hand, complex carbohydrates are slowly absorbed and cause a gradual increase in blood sugar. Foods that contain complex carbohydrates are high in fiber – like beans, fruit, starchy vegetables, and whole grains. 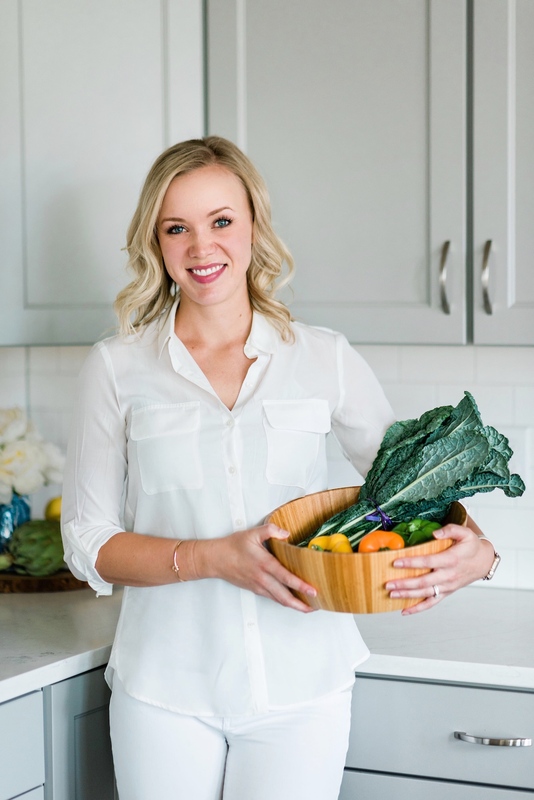 A low-carbohydrate diet, like the ketogenic diet, may effectively lower triglycerides and total cholesterol while increasing HDL (good) cholesterol (6, 7). This may be due to the significant weight loss that often comes along with these low-carb diets. While I’m not against using a ketogenic diet as a medical nutrition therapy, it can be difficult to follow and may lead to nutrient deficiencies if not properly planned. It also hasn’t been studied as a long-term diet (>2 years). Ultimately, tons of studies show that you don’t need to eliminate carbs to improve cholesterol levels. In fact, including real-food sources of complex carbohydrates, like beans and whole grains, have a very protective, cholesterol-lowering effect (8, 9, 10). Let’s get to the good stuff! You now know that eating too many sweets and added sugar can worsen cholesterol numbers, increase inflammation, and increase your risk of heart disease. Non-Starchy Vegetables: These veggies are low in calories, but high in fiber. They also contain protective antioxidants and nutrients. Aim for at least 3 cups of non-starchy vegetables per day. Beans: Beans are rich in soluble fiber, which helps to effectively lower cholesterol levels. Aim to eat ~1/2 cup of beans a few times per week. Nuts & Seeds: Nuts and seeds are also rich in fiber. Plus, they contain high amounts of healthy fats that can satisfy hunger and reduce sugar cravings. Aim for at least 1 serving of nuts or seeds per day. Whole Fruit: Another high-fiber food is whole fruit! Berries are a top choice, because of their high antioxidant content and protective effect on the heart. Make sure to pair your fruit with a protein or fat food for optimal blood sugar balance. Healthy Fats: One avocado per day can significantly lower LDL cholesterol! Aim to include a healthy source of fat, like avocados or olive oil, into each of your meals. Eggs also provide a great source of filling fat, so you can include some of these into your weekly breakfast rotations as well. Fish: Seafood is rich in healthy fats, like omega-3 EPA and DHA (fish oil). Eating just 1 serving of fish per week can help reduce triglycerides and significantly lower your risk of heart disease! Read this blog to learn which is the healthiest fish to eat. Ultimately, the best diet to lower cholesterol is rich in fiber and contains real, wholesome foods! Avoid eating too much added sugar and sweets. But, also know that an occasional sweet treat can easily fit into your diet if you have a solid foundation of healthy habits and balanced meals.